But he’s got to share a room with him anyway. It was one thing when Jarrett’s mom took care of foster babies who needed help. But this time it’s different. This time the baby who needs help has an older brother — a kid Jarrett’s age named Kevon. Everyone thinks Jarrett and Kevon should be friends — but that’s not gonna happen. Not when Kevon’s acting like he’s better than Jarrett — and not when Jarrett finds out Kevon’s keeping some major secrets. Jarrett doesn’t think it’s fair that he has to share his room, his friends, and his life with some stranger. He’s gotta do something about it — but what? 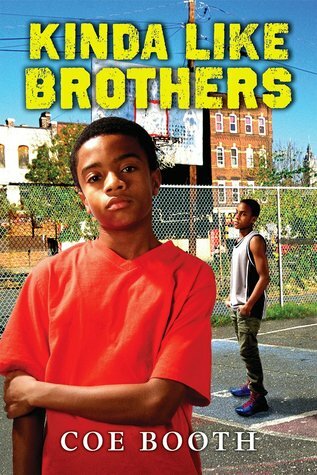 From award-winning author Coe Booth, KINDA LIKE BROTHERS is the story of two boys who really don’t get along — but have to find a way to figure it out.